Happy, sustainable relationships start with deliberate and conscious attention to how you grow them. Create and celebrate strong, genuine intentions for your relationship or special day. 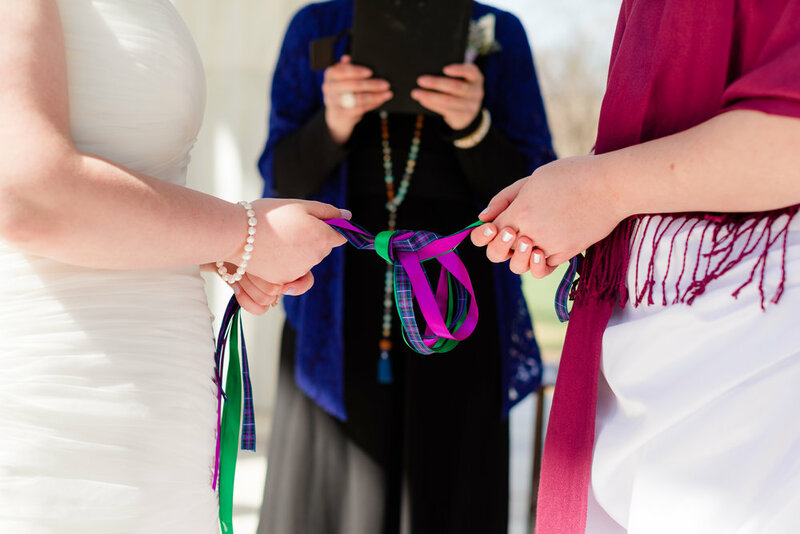 Pre-marital support, custom script design, ceremony guidance, and legal officiation for a wedding ceremony like nothing you or your friends have ever seen before. Whether it’s all inclusive of your community or an intimate, private gathering, I'll get to know you and your partner ahead of time so that the ceremony feels truly personal. 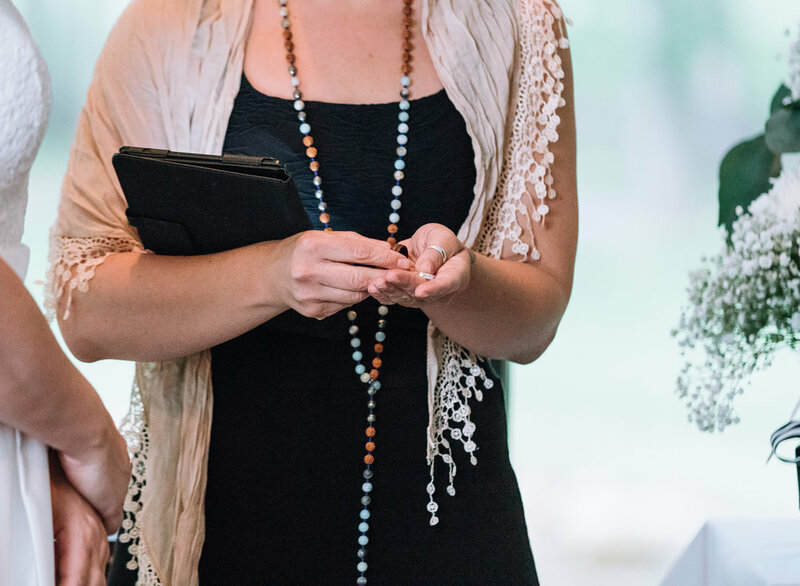 Working with me means you make time for what’s really important on your wedding day: setting intentions for your relationship; getting grounded and staying grounded the week before the event; and designing a highly customized ceremony & vows that speak your truth as a couple. Religious, non-religious, a little religious, or your very own brand of spirituality and intention - whatever it is you want to express, I’ll help you do it in a radically authentic way. It’s been a while since your wedding day, and your love is stronger than ever - but it’s also changed a lot since then. Ceremonies are all about marking milestones, and there are many of those in a marriage after the wedding day. I’d love to work with you to reflect on all that you’ve achieved together and to set intentions for whatever you want to be true as you turn the next chapter of your lives together. 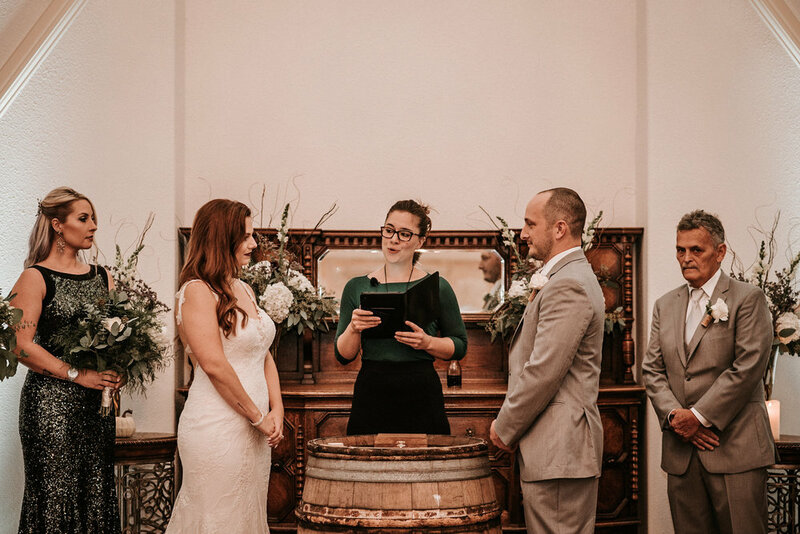 These ceremonies can be as full of pomp and circumstance as your original wedding day, or as simple as an intimate exchange between the two of you alone with my guidance. When a traditional wedding isn’t the right way to celebrate your commitment to the person, or people, who you love, we can work together to design something uniquely sacred for this particular bond. You may be searching for the right way to celebrate a committed non-monogamous relationship, or a relationship that’s deeply important to you in addition to others in your life, or a non-traditional relationship that honors something deeply personal. There are no rules here, and no traditions to follow - which, while liberating, can also be difficult to navigate. 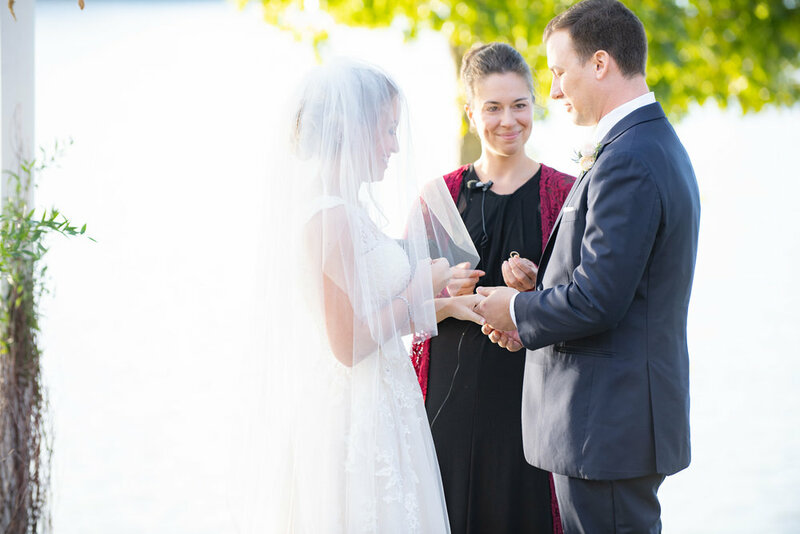 It would be my honor to work personally with you and your partner/partners to design and guide a ceremony that expresses exactly what’s most important to your heart and principles. Ceremony is a crucial part of being human. It’s a way of pausing at a milestone, becoming present, noticing everything that has happened and deciding what you want to happen going forward. It’s about being intentional and choosing the story you want to tell with your life, with your partner, with your family. Whether you need a ceremony that welcomes a new life, supports the transition of death, celebrates a major life transition, or integrates sacred wisdom from a holotropic or entheogenic journey, I’d be honored to guide you. Proudly providing ceremony guidance to human beings of all genders and romantic orientations. Beyond therapy, coaching, or counseling: this isn’t problem-oriented. This is hands-on guidance for identifying and following the intentions you already have, or wish to adjust. Guided intention-setting sessions to prepare for the transition of marriage. Support during the engagement period and ceremony planning. Set the right foundation for an intentionally monogamous relationship, or transform unhealthy dynamics within an existing relationship. Guidance for opening up your relationship and exploring ethical non-monogamy. Support and guidance for gender transitions, experimental power dynamics, and non-traditional relationships of all kinds.